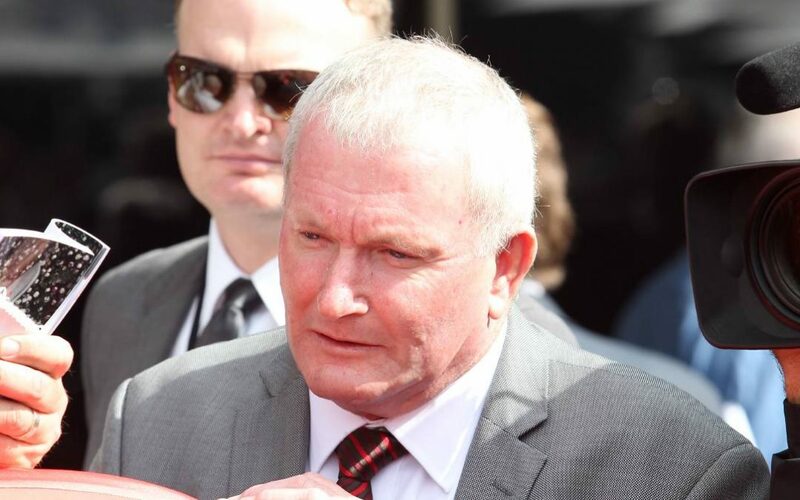 In-form trainer Barry Lockwood fears for his future if plans to demolish on-course stables to make more room for a bigger float carpark at Eagle Farm go ahead. Brisbane Racing Club officials have told Lockwood and fellow trainer Danny Bougoure they intend to knock down the 53 boxes from where the pair train and relocate them to Nudgee Rd. That would mean they are effectively “off course” and need to float horses to the track each day. Lockwood said this cost him an extra $6000 a month previously, while Bougoure said it would cost him a similar amount paying extra staff. “I am just totally disappointed,” said Lockwood, who trained a double at last week’s Eagle Farm opening and a feature winner at Doomben on Saturday. BRC chairman Neville Bell said it was a move that was likely to happen sometime next year, but one in which the trainers would be compensated. “Any of those costs would be offset. Financially they wouldn’t be any worse off,” Bell said. “We need to find other ­options for raceday for float parking and unloading of horses. We can’t have the crossover of horses, people and vehicles. There’s nothing sinister to it, it’s just something we have to look at for safety of operations and that part of the course needs to be tidied up.